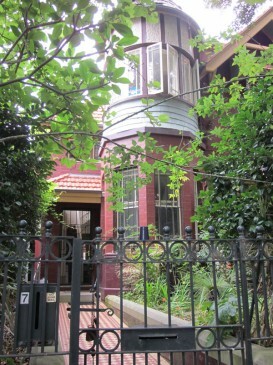 5-9 Arcadia Road were designed by the same architect to form a picturesque group. 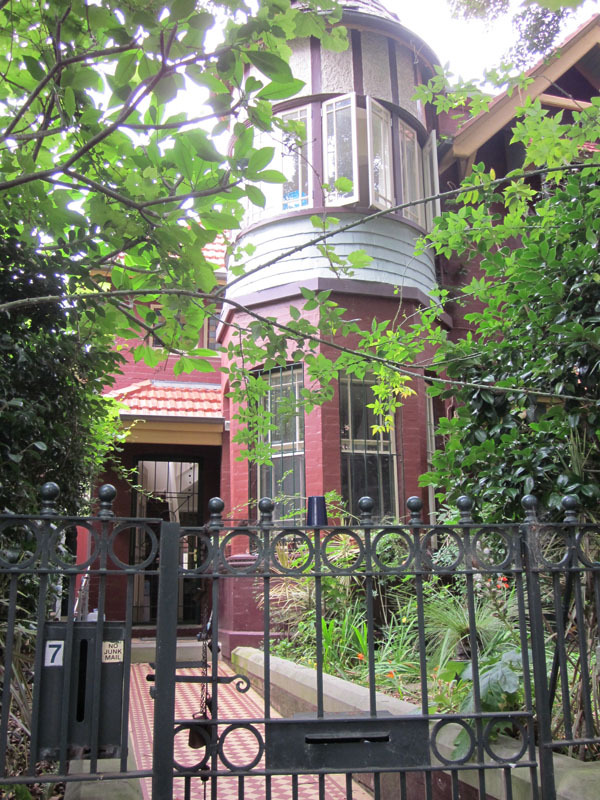 The contrasting styles at Nos 1-9 Arcadia Road, all built about 1895, make a fascinating streetscape. 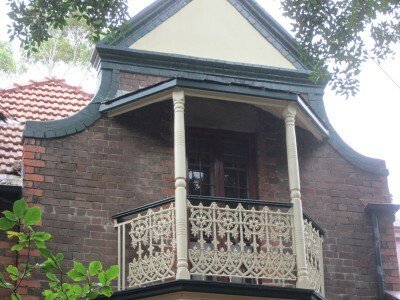 Nos 5 and 9 are good examples of the Federation influence in the turned wood balcony and solid gables. They are mirror images, with large dormers angled at 45 degrees toward each other, and form a group with No 7 (Oudenard) which completes this picturesque group with its circular shingled tower and flat headed windows. There are geometric leadlights in the small windows. The adjoining house, No 3, Linden, is symmetrical with a curious gabled porch adorned by intricate cast iron work. There is a painted kookaburra in the leadlights above the door. The handsome timber barge board above the Italianate bay window at No 1 contrasts splendidly with its stone and cast iron fence. At the end of Arcadia Road we join Avenue Road, which curves to our right to meet Toxteth Road.